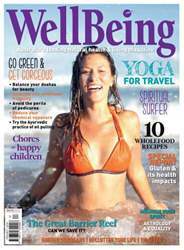 Issue 149 of WellBeing is all about creating connections. We ask you to connect to your health and how gluten may be having a bigger impact than you think, we take a surfing trip to connect to nature and we reveal why creating a connection to the Great Barrier Reef is essential right now. 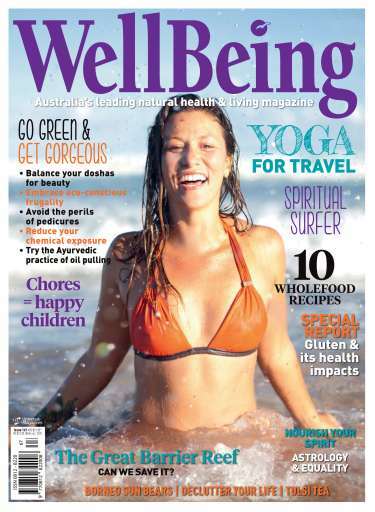 Meet celebrity chef Pete Evans, take our yoga travel kit with you on your summer holiday and learn about the benefits of oil pulling and how Ayurveda can balance your skin type. We also travel to Borneo to learn about the endangered Sun Bear, discover the herb gotu kola and explain how to control your clutter with feng shui.